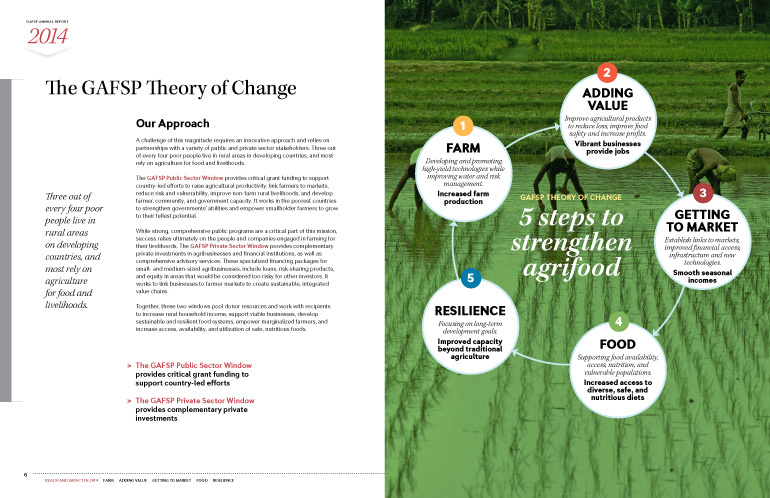 The Global Agriculture and Food Security Program (GAFSP) is a multilateral mechanism to assist in the implementation of pledges made by the G-20 Pittsburgh Summit in September 2009. 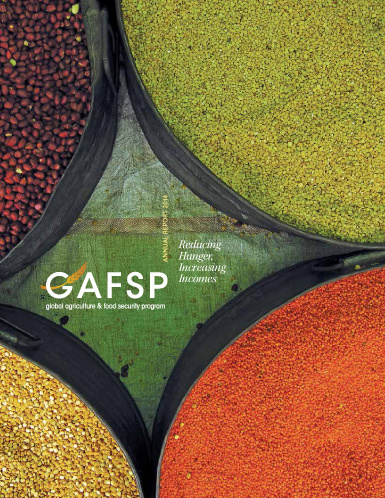 Using public and private funds, GAFSP’s objective is to improve incomes and food and nutrition security in low-income countries by boosting agricultural productivity. 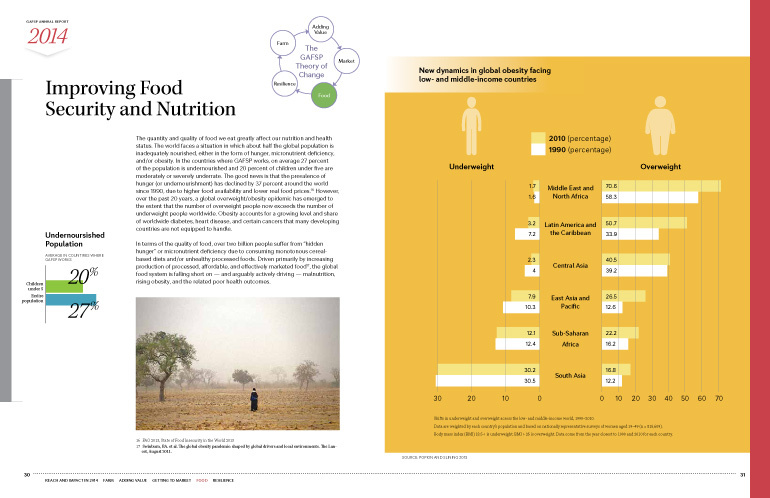 Groff Creative LLC, one of D.C.’s leading graphic design and marketing communications, created GAFSP’s 2014 Annual Report, which is a stellar example of great content, innovative design and sharp graphics. The report lays out GAFSP’s mission, goals and accomplishments with clarity and focus while engaging the reader with vital information.